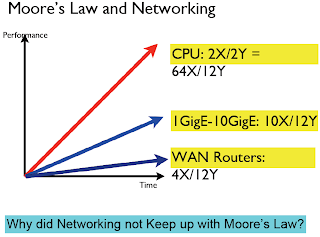 Bit Pilot: Why hasn't networking followed Moore's Law ? 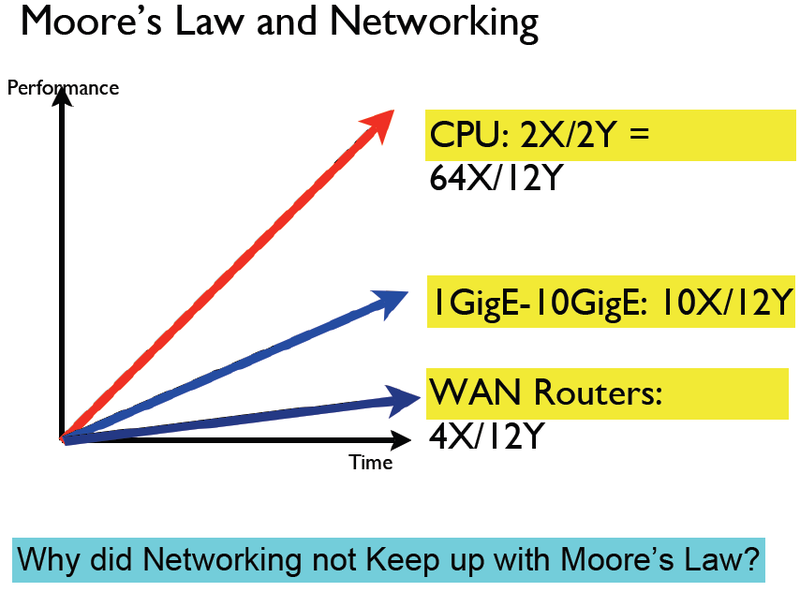 Today's custom switch silicon support 64 10G ports on a single chip but forecast to scale by 4X in the next 3 years. He wraps up the presentation looking into ways to alleviate the current high cost of optics slowing down 40G/100G adoption.